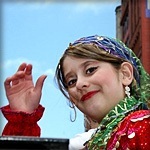 50,000 spectators are expected to attend this year to celebrate, the Persian New Year, Nowruz. As you may have read, United Nations and many individual countries including United States are recognizing, Nowruz as an official holiday! Millions of people worldwide celebrate this joyous occasion. 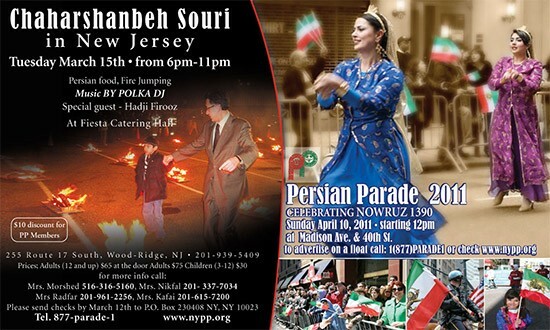 Persian Parade Organization encourages everyone to join us to show case our culture, and to celebrate this majestic event with our children to highlight our great Persian values which are based on Freedom, Honesty, Tolerance, and the Human Rights. Everyone is encouraged to continue the festivities at the end of the Parade route at Madison Square Park. There will be music and they will be more than few selections of Persian cuisines that can be purchased at the Park.